Dude, Miki, and the wonderful Donal. Let’s see where Dude’s at today. Providing of course the blog cooperates! Tomorrow will be a day off for Dude but it’ll give you a chance to catch up. 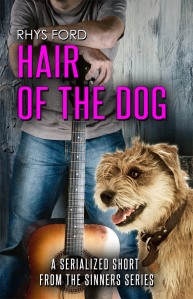 THEN the final installment of Hair Of the Dog will be at LoveBytes! Thank you all for being here! And much love! Tour Stops beneath the cut.